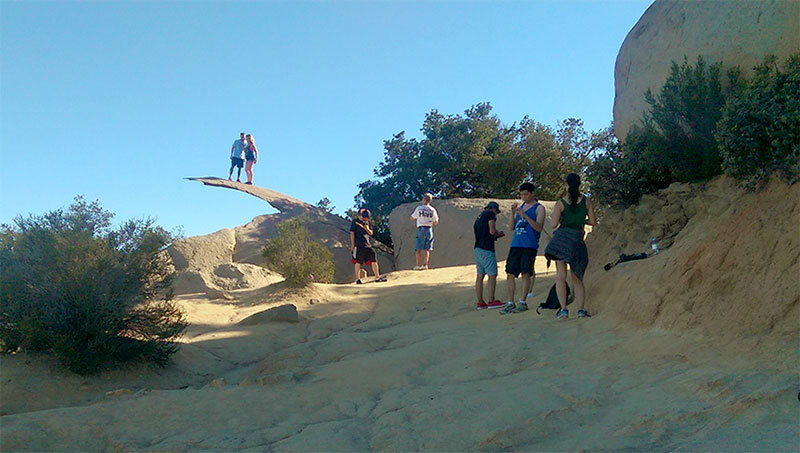 Potato Chip Rock, resting near the 2894 ft. summit of Mt. Woodson, attracts people from around the world. It has a celebrity-like status among visiting hikers due to the massive amount of attention it has received in social media over the last few years. Everyone wants a picture taken of them standing atop the iconic rock, and for good reason, they earned the right by simply getting there. 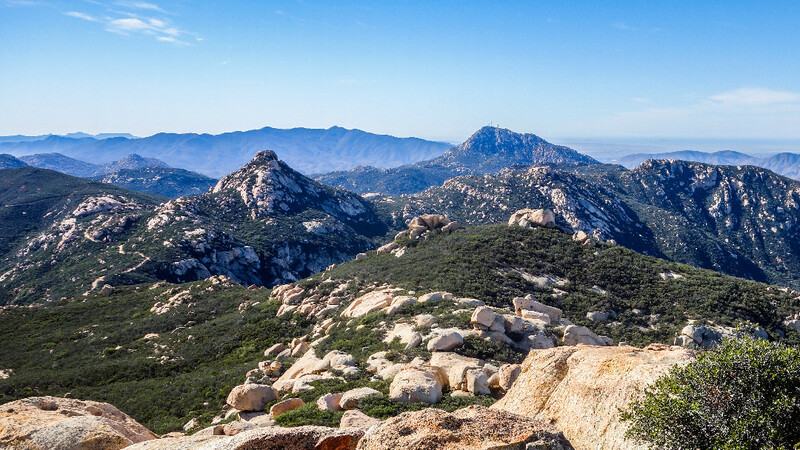 North Fortuna Peak is the third highest peak in Mission Trails Regional Park, behind Pyles Peak and Cowles Mountain. This is a fun hike and an easy extension when hiking to South Fortuna Peak via the same route. 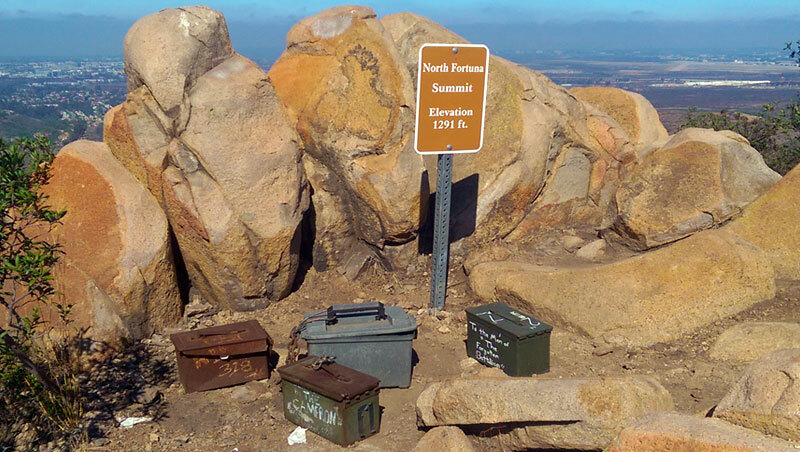 There’s more than one way to reach the summit of North Fortuna Peak, but South Fortuna Trail is by far my favorite. 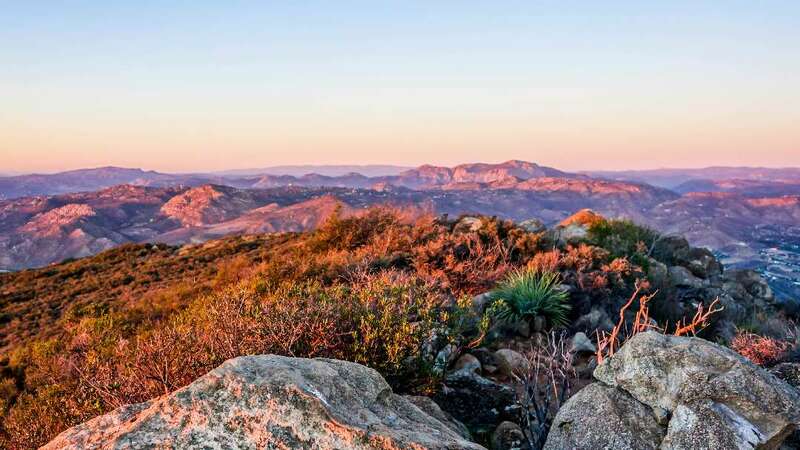 McGinty Mountain is part of San Diego’s 11,000+ acre National Wildlife Refuge and is home to some of the rarest plant species in the county. Despite having a relatively low peak elevation (2183 ft.) in comparison to some of its neighboring peaks, like Lawson and Gaskill Peaks, the panoramic views from McGinty Mountain’s summit are no less spectacular. 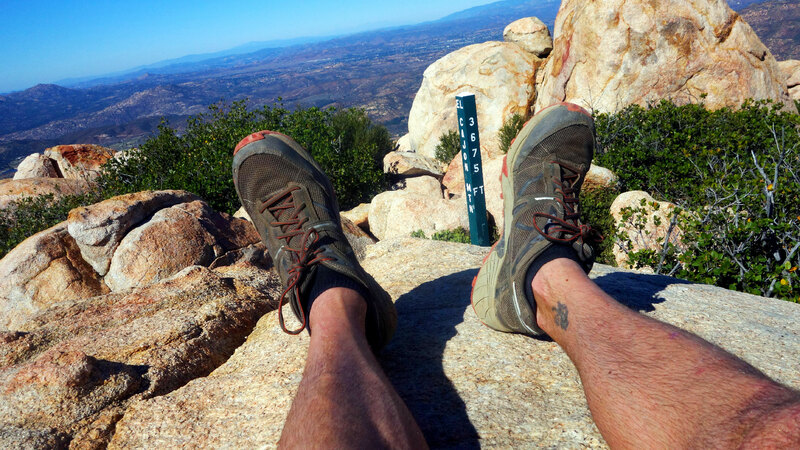 McGinty Mountain Trail Hike: Peaks and Valleys Galore! 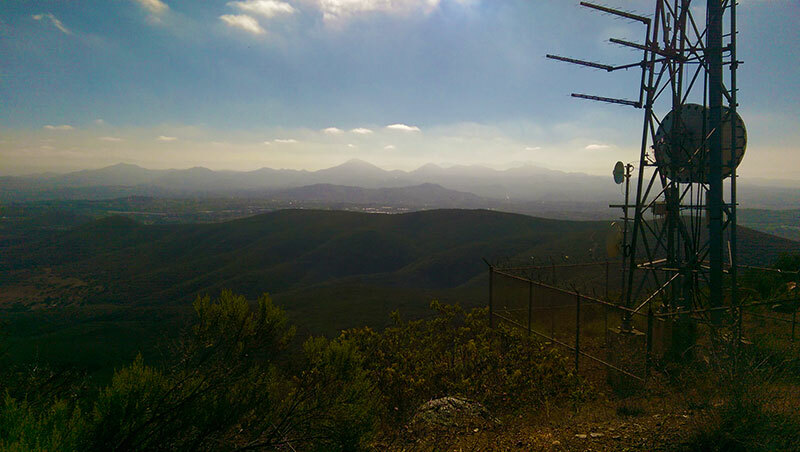 Frequently described as being, “the toughest hiking trail in San Diego,” El Cajon Mountain hiking trail is well-known for its relentless elevation changes and remarkable 360 degree views from the summit. 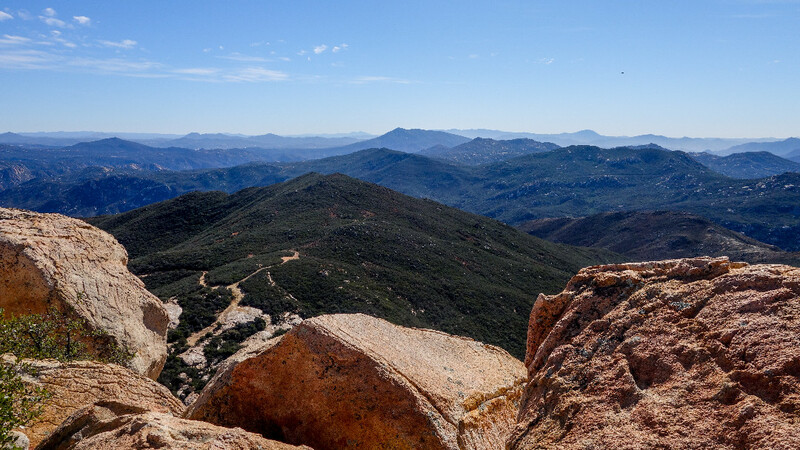 Also known as “El Capitan” or simply “El Cap,” El Cajon Mountain is a beast of a hike that challenges your will and tempts your spirit. 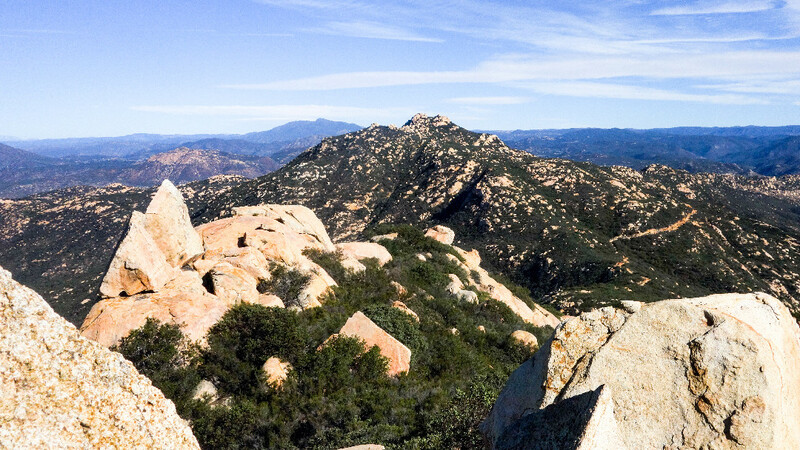 McGinty Mountain is a fun, challenging hike with rewarding panoramic views that doesn’t require setting aside an entire day. 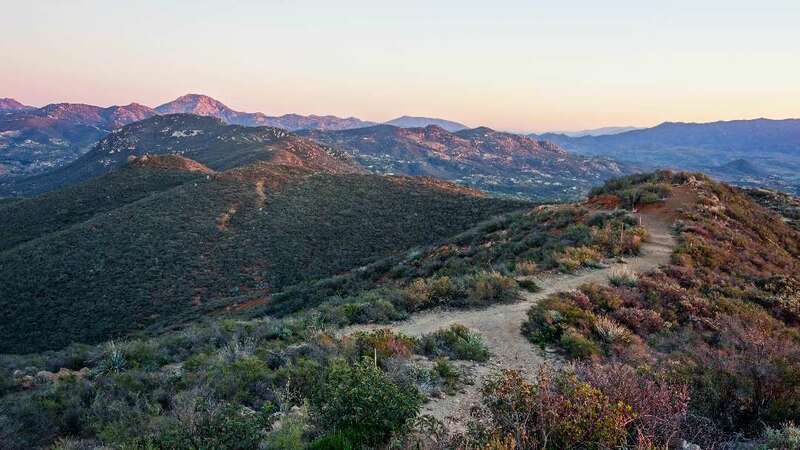 The steep trail takes you quickly up the mountain’s face and through some of the most diverse and rare plant life in San Diego. The trail offers a never-ending spree of photo ops and scenic outlooks that continue to change and evolve as you work your way up the mountain towards the summit. On a clear day the views from the summit are mesmerizing and offer up vast scenic rolling hills, mountain peaks, and deep valleys. This is a great hike for just about anyone with an adventurous spirit, a good pair of hiking shoes, and a couple of hours to spare.